Kananaskis welcome now what? Explore! Some of the best kept secrets in the Rocky Mountains are hidden in the valleys directly south of Canmore. These valleys are full of natural history that includes the Stoney Indians, Captain John Palliser, and many of the early pioneers who discovered Canada’s National Parks. For a great trip from Calgary or Canmore, head to Highway 40 South, the gateway to Kananaskis Country. 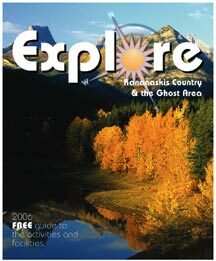 Kananaskis Country is a massive collection of Provincial Parks, over 4000 square kilometres. Each park is designated for different activities, from quiet solitude to off-road motorized sports. To do a complete circuit of the Kananaskis Valley that takes you back to Canmore, try the spectacular backcountry Smith Dorrien/Spray Lake road. It’s a wildlife corridor second to none. Access this road after you have visited Peter Lougheed Provincial Park and the large North and South Kananaskis Lakes. From the Visitors Center onwards, many first class recreational activities are just minutes away. In the summer, hiking, biking (both on single track and paved bike paths), horseback riding, canoeing, kayaking, white water rafting, fly fishing and even golfing at one of Canada’s premier golf courses are available. In the winter, cross country skiing, downhill skiing, and snowshoeing are easily accessed on both professionally groomed trails and in the backcountry. Kananaskis is home to Nakiska and Fortress Mountain downhill ski areas. Nakiska was the site of the 1988 Olympics for Alpine Skiing. 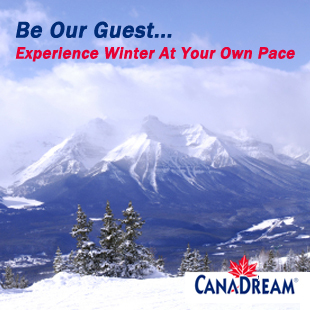 The winter in Kananaskis and the Spray Valley is magical. Snowfall near Burstall Pass usually triples that of Canmore or Banff: With groomed trails at Sawmill, Chester Lake, and at the Mount Shark ski trails, it’s a paradise for cross country skiers and snowshoers. As well, there are plenty of locations for ice fishers, dog sledders, and ice skaters, especially on the Spray Lake at the north end of the Spray Valley. Moose, elk, deer, and bear frequent the Spray Valley, and many moose calves are sighted throughout the summer and fall. A great wildlife viewing spot is at the bridge near the Mount Engadine Lodge turnoff. In mid-October, the golden eagle migration passes overhead in Kananaskis. The Festival of Eagles offers opportunities to learn about these magnificent birds of prey and their larger ecosystem, as well as to participate in nature hikes that take you closer to the birds in flight. A great stopping off spot for lunch is the Kananaskis Village, which also includes first class overnight hotel accommodation. They have a general store, a recreational rental shop, restaurants, bistros, and bars. The Village also has a number of shopping options from souvenirs to luxury mountain apparel. For campers, a variety of options, from fully serviced RV locations with kids’ swimming pools to private backcountry tenting sites, are spread throughout Kananaskis, including overnight stays in authentic tepees.